So excited to have come across a whole hide of mint cowhide today. I made the last batch of mint pouches from a remainder I found (around 8sq. ft.) and found this hide at a different location, so it was total luck. I can't recall ever receiving so many emails about one item, I've never had to say "no" and "sorry I'm out and can't get anymore" so many times! 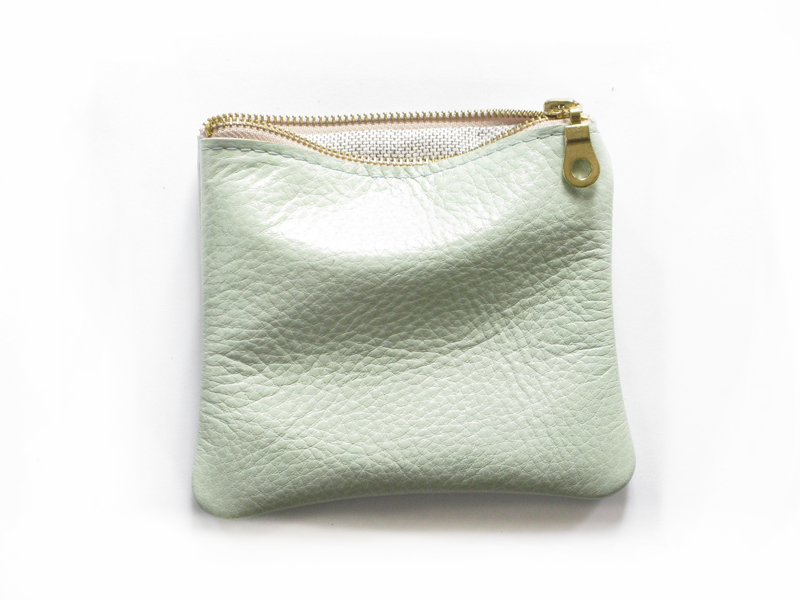 So, available now in the shop, five inch mint pouches! p.s. - I've changed my URL to this blog: it is now blog.renneshandmade.com - if you still have the old link it should automatically redirect, but just an fyi!